The consensus is that the truer and more celebrated pho dining experience must be had 30km southwest of Sydneyâ€™s CBD in Cabramatta, AKA Little Saigon. Experience No.065 in Australian Traveller Magazine’s 100 Greatest Australian Gourmet Experiences. Urban sprawl places Parramatta as the geographical centre of Sydney – which makes Cabramatta practically inner city. And although accessible by train, bus or motorway, the suburb’s renaissance has less to do with transport ministers and more to do with a humble bowl of Pho. On a strip once known more for drive-by shootings and the availability of heroin than noodle houses, Vietnamese, Thai, Chinese and Cambodian restaurants are so close together it’s hard to tell where one ends and the next begins. A simple broth dish traditionally made with beef and rice noodles, almost every Australian now has a favourite pho restaurant, but the consensus is that the truer and more celebrated pho dining experience must be had 30km southwest of Sydney’s CBD in Cabramatta, AKA Little Saigon. John St is the epicentre of the greatest multicultural dining experience and home to Bau Truong, infamous for crispy chicken and fresh rice paper rolls. At Pho54 on Park Rd a steaming bowl of Pho will set you back $7. Open from 8am-7pm, Pho54 just catches the Vietnamese breakfast crowd and the more multicultural dinner crowd. Cabramatta’s most famous export, Luke Nguyen of the Red Lantern in Surry Hills, has his favourite also on John St: Pho Viet. 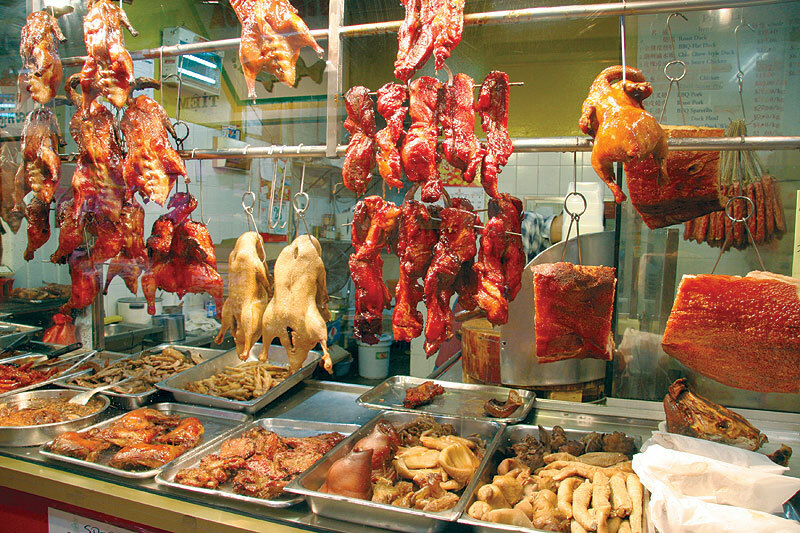 If you feel out of your depth, walking food day tours of Cabramatta are available through Maeve O’Meara’s Gourmet Safaris. Where: Pho54 is at 2/54 Park Rd, Cabramatta, (02) 9726 1992. Bau Truing is at 10/70 John St, Cabramatta, (02) 9727 4492. Pho Viet is at 11 John St, Cabramatta, (02) 9728 6657. Did you know: One of the lesser-known spices in Pho is the sweet and spicy Saigon Cinnamon, which is so concentrated in essential oils that it will hiss and spark spectacularly if lit.